Make your dream wedding a reality. Get some inspiration with an overview of some of our recent weddings. Jean is passionate about flowers and works carefully to create moments of beauty through her efforts. 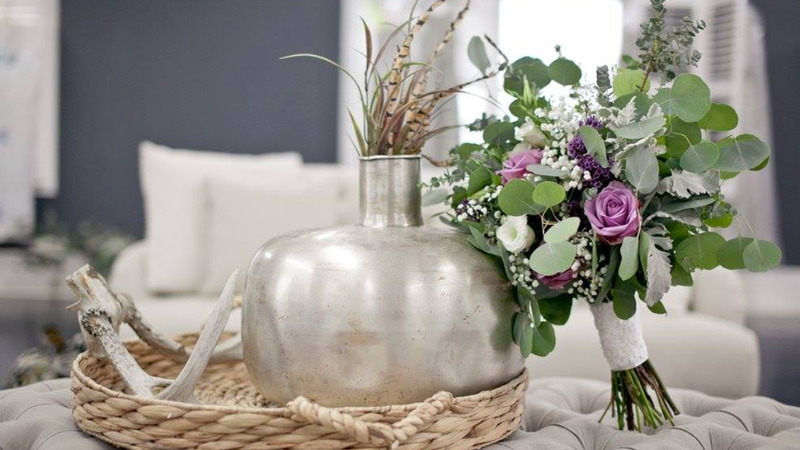 Her love of all things pretty, especially flowers, candlelight and interior design, energizes her to transform ordinary event rooms into enchanted spaces of natural beauty and glowing ambiance. She confers with clients to realize their vision and personal style and then uses her creativity to help their vision become a reality. Jean aims to create moments and spaces that reflect both her eye for loveliness and her clients' preferences, leaving the clients with the certainty that they have had the best of their dreams created. Jean's love of beauty and attention to detail will help translate your hopes and dreams into unforgettable events. I cannot say enough about her talent as a wedding/event florist. When you have your wedding guests say "this was the most gorgeous, stunning wedding they had ever been too", all thanks to Jean!! The flowers were over the top wonderful! You can tell she truly loves her work and wants nothing more than to have her client happy! My wedding vision was a gorgeous reality! What I loved about working with Jean is her ability to listen and produce work that is in keeping with your vision and budget. I met with her once to review what I was looking for and emailed her a few pictures of what I liked. Then, she took care of the rest! I didn't worry over any other details, and on the day of, everything was perfect. Jean is trustworthy and so talented. I am very thankful to have worked with her. Thanks to Jean my wedding was a beautiful dream. My mom and I met with her months ahead of time to start the planning process. Jean made it so easy. I had this "vision" of what I wanted and Jean made it a reality. I brought pictures of ideas I liked or thought would look great and Jean ran with the ideas. She is so creative! My wedding vision was a lot of different greenery and hues of purple. But, still keeping the Fall feeling to my November wedding, and Jean made it happen. Simple & Elegant! What can I say, you made Alise's day extra special with all your beautiful flowers. God has given you the gift of creativity and I'm so glad you are using it to glorify him. Thank you for the beautiful memories we can treasure. You're the best. We are so grateful for your work on Leah's wedding. Everything was so beautiful. You do great work, thanks a million!